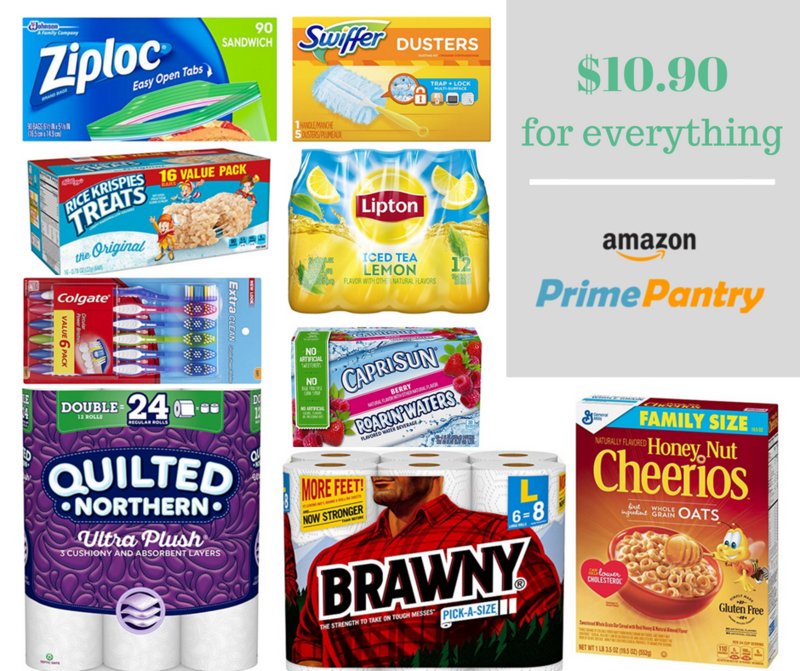 Home > Amazon > Amazon Prime Pantry: Huge Coupon Deals + Free Cheerios! Amazon Prime Pantry: Huge Coupon Deals + Free Cheerios! Score some great grocery deals without leaving the house! Amazon is running a number of promotions leading up to Prime Day next week, and the sweet part is they can all be used together! Get $10 off any $40 purchase when you sign up for a trial membership of Prime Pantry (don’t worry you can cancel at any time or it’s $4.99 a month for unlimited orders). Enter code PANTRY at checkout to get the discount. Free Box of Honey Nut Cheerios Cereal, family size, 19.5 oz, with any $40 Prime Pantry order. Add it to your order and it will come off automatically. Get $6 off when you buy 5 Participating Items. Discount comes off automatically at checkout. Many of these items are also on sale 30% off right now! Prime Pantry Exclusive Coupons that clip automatically as soon as you add items to your cart. There are sooo many things you can grab that will make for a great deal! I grabbed 9 items and paid $10.90 for it all. Most of these offers end 7/17.